Register Now to Try It Out! Our service is offered by TRV Security, a Licensed Managed Service Provider to Trend Micro with over 15 years experience in providing global antivirus services. TRVProtect is a white-label antivirus system designed for the IT service industry. Using our system, you can protect all your customers' Windows and virtualized computers with a single installation file and then manage them via a cloud-based console. Using the latest version of OfficeScan Corporate Edition, Trend Micro's flagship security product for servers and workstations, you can meet all your customers' antivirus, anti-spyware and web protection needs in one go! 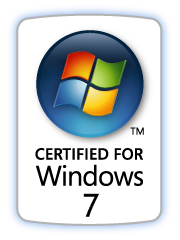 Trend Micro OfficeScan is certified for Microsoft Windows XP, 2003, Vista, 7, 8, 10, 2008 and 2012 (32 and 64 bit versions). Now with a solution for you Android mobile devices too! We offer a fully centralized and hosted antivirus security service using Trend Micro OfficeScan technology. 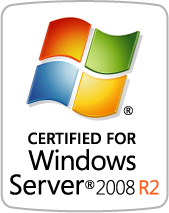 We provide you with a silently installing MSI file that you deploy to your customers' servers and workstations. Once installed, you will never need to touch them again. To further facilitate rollout, the installation file removes most other antivirus products automatically. As a Partner, you will have access to a cloud-based Trend Micro OfficeScan management console from where you can fully manage all aspects of your customers' antivirus, anti-spyware, web reputation and firewall settings and logs. You can include access to the OfficeScan management console as part of your normal customer services. This would allow your selected customers to manage or simply view their antivirus settings and logs. Include your customers' VM and Citrix environments. Our free and unlimited Helpdesk is always available to assist and support you. Try it first on your own computers to convince yourself of the benefits with no obligation. The Security Center has been upgraded. If you have not yet received your new access details, please contact us via our Live Support below. Step 1: Register for a FREE Trial!